What’s New At The Official Tribute To Ian Hendry? New article: The Avengers, Series 1 – Missing Episode Discovered! 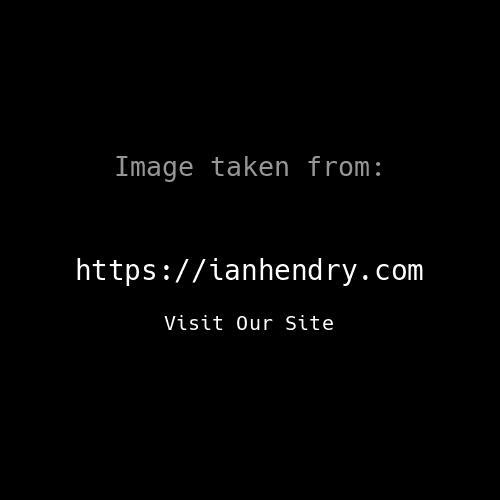 Official Website of Ian Hendry – 2nd Anniversary! New article: Background to the Studios and the production…. Today marks a significant event – the 30th anniversary since Ian died. New article added, with a recent find in TV World magazine for the New Year, 1966/1967. Coverage by Kaleidoscope (in their latest podcast) of the recent biography on Ian by Gabriel Hershman. So good news as more of his work comes to light…. – Murder On Arrival – Ian Hendry as Steve Taylor (Westminster Theatre, London. Premiered on 16th June 1959). Note: Correction to previous 1959 entry. Ian was in ‘Murder On Arrival’ and not in ‘Not A Spark Of Sympathy’ as previously stated..
We will add these to the menu/ listings and in due course we’ll also add some more material on Ian’s theatre work, including some very early programmes. We have found and added another press article from the 1970’s. This one is from Photoplay Film Monthly (July 1971) edition and features Ian Hendry and Janet Munro at home in London. Do let us know ( via the Contact Form) if you find any interesting articles related to Ian and his work. Thanks! Further finds of rare press articles have added to the growing collection. Special thanks to ‘Billy Farmer’ on the Britmovie Forum website for finding and posting some great articles and magazine covers there from the 60’s and 70’s, which we have added to this site. If you have not read the recent post/ article on this site then take a look now. It uncovers some more background on Ian and his first wife, Jo, just as he was on the cusp of his major breakthrough as an actor. We continue to add newly discovered press articles to the In The Press pages of the website, so keep checking back from time to time to see updates. We’ve also been busy updating many of the entries for television appearances in the 1960’s and 1980’s and we will then continue to update the 1950’s and 1970’s. Once Film and Television entries are complete we will the start on the Theatre entries for the many plays that Ian starred in over the years. We have collected a number of the original programmes from the shows, including several from the 1950’s which we will scan and add to the site. So watch this space! Lastly, if you do come across any memorabilia on Ian, including old recordings, theatre programmes, press articles, photographs etc. then please do contact us and let us know. We have already discovered some ‘lost’ recordings and rare press articles through the generosity of people who have contacted us. Thank you! Even Rarer Find – Very FIRST press article on Ian Hendry! When he was still a drama student at Central School of Speech and Drama, London. Many thanks to Sharon Kynaston for contacting the website and donating this very rare and interesting magazine. A rare find. The original promotional portrait of Ian Hendry, by ABC Television, to promote their new series, The Avengers. We have another rare piece of memorabilia that has been found and is being kindly sent to us for publication. More details soon! Inspired by some press clippings posted on the Ian Hendry Section of the terrific and thoroughly well recommended Britmovie Forum, we have now created a new section on the website called ‘In The Press’ and have uploaded many clippings from our personal collection. It is broken down into the various decades of his career, 1950’s, 1960’s, 1970’s, 1980’s and Post 1980’s with press cuttings from various national and local publications included under each. We will continue to add to these and please let us know if you have any clippings or find any new ones on the net. Thanks! Brief update. We apologise for some down-time over the last couple of weeks as a result of problems with our hosting company. We have now changed to a UK Hosting company who have been superb in moving the site over. Hopefully we can all enjoy a period of stability now with absence of the wrong kind of drama. Something our previous hosts could have won awards for! The Informer (1966/67): We have just located a set of 7 of the original episode/ synopsis notes for this series. The Informer ran for two series, with a total of 21 x 60 minute episodes in total being produced. Sadly, all have been ‘lost’, feared wiped and precious little information is available about the series. We will publish more on this shortly. We have also reached the milestone of 100 videos/ clips on the Official Ian Hendry YouTube Channel. We will continue to add new material over time. Please contact us if you have any clips that you think may be of interest. Thanks. New Book: The Strange Case of The Missing Episodes – The Lost Stories of The Avengers (Series 1) By Richard McGinlay, Alan Hayes and Alys Hayes Ian Hendry was the lead in the original series of The Avengers. The Strange Case of the Missing Episodes lifts the lid on that first year, and retells the stories in extended synopsis form, covering twenty-four episodes, often with script extracts. We have issued a Press Release announcing the Official Website of Ian Hendry and the publication of the biography. You can read it here: Ian Hendry Biography Press Release We have also reached the milestone of 75 videos/ clips on the Official Ian Hendry YouTube Channel. We will continue to add new material over time. Please contact us if you have any clips that you think may be of interest. Thanks. Official Ian Hendry YouTube Channel We continue to expand the collection of video clips on the Official Ian Hendry YouTube Channel. Our goal is to gather together work that covers the full length and breadth of Ian’s career. At times it is a challenge as certain distributors and copyright holders are very active in making sure that none of their work appears on YouTube, even short clips. This seems short-sighted in that YouTube is a form of free advertising for these companies. However, we should reach 75 videos/ clips uploaded this weekend and will continue to expand this valuable online resource of his work. The Ian Hendry Youtube channel continues to grow. We have now uploaded 38 video clips and full length films/ programmes. The latest in Live Now Pay Later (1962), not available commercially (but available from a very few specialist online sources where you can buy the DVD of their own recordings). Live Now Pay Later (1962) | Compete Film Also, another interesting clip is Ian Hendry playing the motorcycle policeman in Michael Bentine’s depiction of swinging London in the 60’s, in the film The Sandwich Man (1966) The Sandwich Man | Ian Hendry As The Motorcycle Policeman We continue to also add to this site and build the Facebook Page and following. Please like our Facebook page and interact with us there as well. Publication of Send In The Clowns – The Yo Yo Life Of Ian Hendry! Welcome to the Official Website of Ian Hendry A momentous day! Day one of the Official Website of Ian Hendry and the start of a long and exciting journey to explore, celebrate and enjoy the work of one of the finest British actors of this, or any, era. The idea of a site which would bring together the work of my uncle, Ian Hendry, has been on my mind for some time. There is a lot of information on him and his work on the internet. But there was no central ‘hub’ which brought it all together. About a year ago, I checked to see if the domain name ianhendry.com was still available, not thinking for one moment that it would be. To my surprise (and continued amazement) it was. The first significant part of the puzzle was completed. The second part of the puzzle took a little while longer to fall into place. Over a year to be precise. In that time I have moved back to England after 10 years in Hong Kong and also been giving my support to Gabriel Hershman, whose biography, Send In The Clowns – The Yo Yo Life of Ian Hendry is due out shortly. In time, further pieces of the ‘puzzle’ will appear and with it I hope the picture of a charismatic, complex, gifted, multi-faceted, generous, much-loved and yes, at times, troubled man, will emerge. But the pieces are just that, elements of a much bigger picture. And as with any picture or painting, we may at times be drawn to a certain element or detail that intrigues us so much that we no longer see the bigger picture. Stand back for a minute and look again, because although the picture may not have changed, the way we see it certainly can.